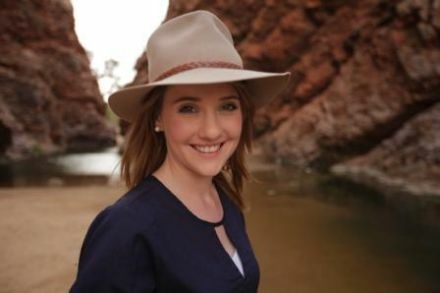 Journalist and Presenter, ABC Northern territory. Radio producer, ABC Southern Queensland. I’ve been involved in the production of factual television for the past seven years and am currently employed as an ABC bi-media journalist. I am also the weekend newsreader for the 7pm news broadcast Northern Territory wide. I have produced many pieces for ABC programs Landline, 7.30 NT and Lateline, and standalone content for ABC 24 like the Developing Northern Australia series. In 2013 I received a high commendation in the MarchBanks Young Journalist of the Year Award. My experience in news and Current Affairs has provided a strong foundation for my extension into independent documentary making as a producer, director and writer during the past 18 months. In recognition of my work I was recently awarded the Access@AIDC internship as Australia’s emerging young producer. As a result I was selected to work in London with Jamie Oliver’s Fresh One Productions last year, and was involved in several of their major projects as an assistant producer and researcher. I was also named under the Screen Producer Australia Ones to Watch program, identifying the country’s next generation of emerging producers. I was awarded the SPAA Internship and received a $20,000 grant to work with a production company of my choice for four months in 2015.